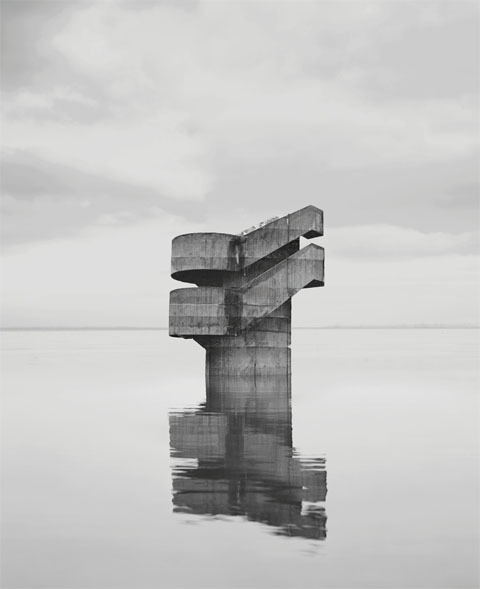 Measurements of time and space are played with to give an illusion of permanence in an exhibition by French artist Noémie Goudal. The Geometrical Determination of the Sunrise at The New Art Gallery in Walsall comprises photographs, films and installations. In the work Goudal is described as exploring “the relationship between reality and artifice and the intersection between nature and the man made”. In a series of black and white photographs, Observatoires 2013-14, the artist has taken her reference point from the astronomical observatories built by Maharajah Jai Singh II in Jaipur and Delhi, inspired by the sun, moon and stars and used as an astronomical observatory. It is 40 years since the Garman Ryan collection was created and given to the people of Walsall, and put on show for everyone from further afield to enjoy. The permanent exhibition at The New Art Gallery in Walsall has been supplemented with lots of archival material for the anniversary exhibition, entitled Dealing with Dreams, which tells more about the history of its creation by two generous and insightful women. There’s also a room dedicated to works left by another woman who is part of their complicated story. The story of the Garman Ryan collection is one of generosity and loss. Dreams – so important for all of us, as two art shows visited on the same evening showed. At the National Trust property, Packwood House, near Lapworth in Warwickshire, the sun shone as artist Hilary Jack led visitors on a tour of her installations in the grounds. One is a large wooden four-poster bed which was inspired by a quote from a 1930s visitor’s book at the house, which described it as “a house to dream of, a garden to dream in”. More of this exhibition below, but it was soon off to The New Art Gallery in Walsall for Dealing with Dreams, the Garman Ryan Collection’s 40th anniversary exhibition. 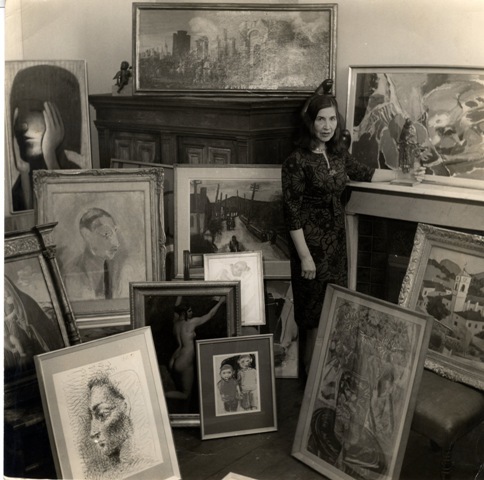 As one of the women, Lady Kathleen (Garman) Epstein wrote in 1973, the year before the collection was first exhibited in Walsall “I feel we are dealing with dreams and about to house them in a solid Midlands setting for posterity. How delightful.” More about this exhibition here. Delightful would also be one word to describe Hilary Jack’s installations at Packwood House. 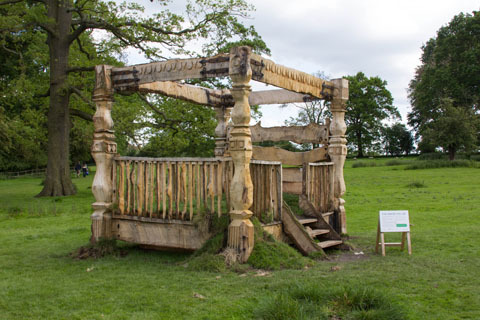 Although based in Manchester, her work has recently been seen in Empty Nest at Compton Verney, and she was afterwards asked to work at Packwood, and Packwood Follies is the result.